A still house again as I write tonight. I enjoy these quiet, drinkable moments. The warm silence is much like a blanket to my soul as I reflect. I think I write as much for myself as for anyone else. I write because words communicate value. And we have so much to value here. Its already been three months since we moved into this house; and yet only three months. I intended to write much more often, and I still do, but parenting, homeschooling, friendship-building, house-keeping, business running, husband-loving beauty has kept my heart and hands busy. 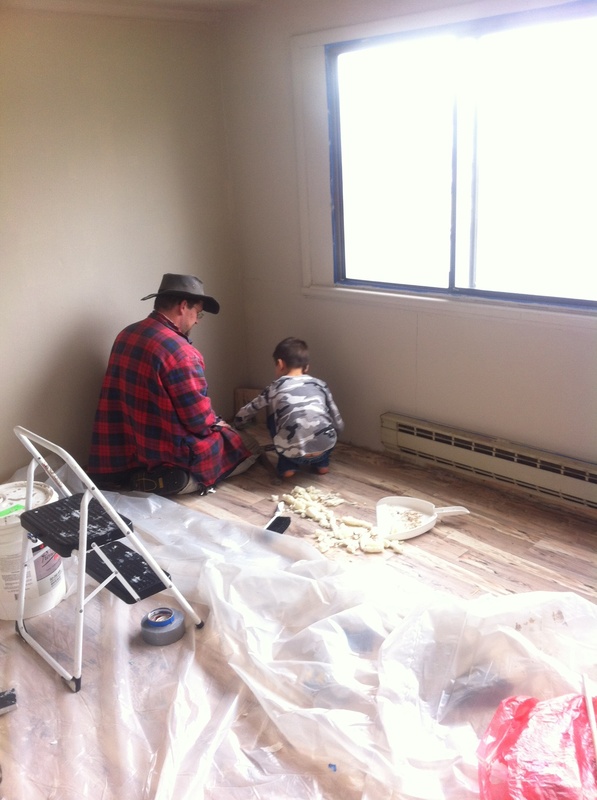 E-man helping our home owner and friend put the floor in baby G’s room! You likely won’t be surprised to hear that God indeed showed up in January, and again in February and March. Many of you won’t be surprised because you were His hands and feet. From toilet paper delivery, to tearing out walls, to a new printer, washer & dryer and most importantly loving on our refugee neighbors- we, and this ministry, have been blessed by you. We have a full house at the moment, besides always having room for visitors! Some dear friends from our time at Moody moved in with their sweet eight-month-old two weeks ago! They will be heading to Bolivia in June for an internship to explore the possibilities of using their hard won skill sets in overseas missions! We also gained a new friend, Kelly, back in February! She recently returned from a two-year commitment with World Concern in Africa and will be gone for a month on another short term missions trip to use her skills of photography and words to spread awareness and touch lives. God connections everywhere. We’ve been so incredibly blessed by the people that God has chosen for this house, time and again. I know without a doubt looking back these will be some of the sweetest memories we have made to date! The apartment is being put to very good use by a beautiful little family who joined us last week! The language barrier exists, but laughter together eases that pain and breaks the silence. We were able to have a house-wide shared dinner last week which was a rich experience- especially in learning what not to cook! I adore pictures because they speak even when words cannot- therefore many pictures were shared in the after dinner quiet until the little man of two-years couldn’t keep his eyes open a moment longer! We are really looking forward to the joys of spring that push into summer… Our yard will really need some work to become the refuge that we would love for it to be to our visitors, but we definitely have high hopes and the willingness to work on it! We are also excited about the opportunity to sow into the large garden out back. Kelly is our lead researcher for this project! We’ve had victories and challenges a plenty these past weeks. Real life is beautiful, messy and sometimes rough. The enemy seems to know right where to hit us when we least expect it, which evidences why we should always expect it. But real life, Jesus-given, soul-growing life, is worth it. Our friend Kelly’s massive amount of Thank You’s from her time in Africa. Because she’s awesome like that. Funds for remodeling the basement bathroom and bedrooms to meet safety standards. Our goal is to provide two bedrooms that will be available longer-term for single refugee mothers! We are $1000 dollars toward our first goal of $3500! Our official fundraiser will be announced next week after a bit more planning! I love when the sun shines in the kitchen. 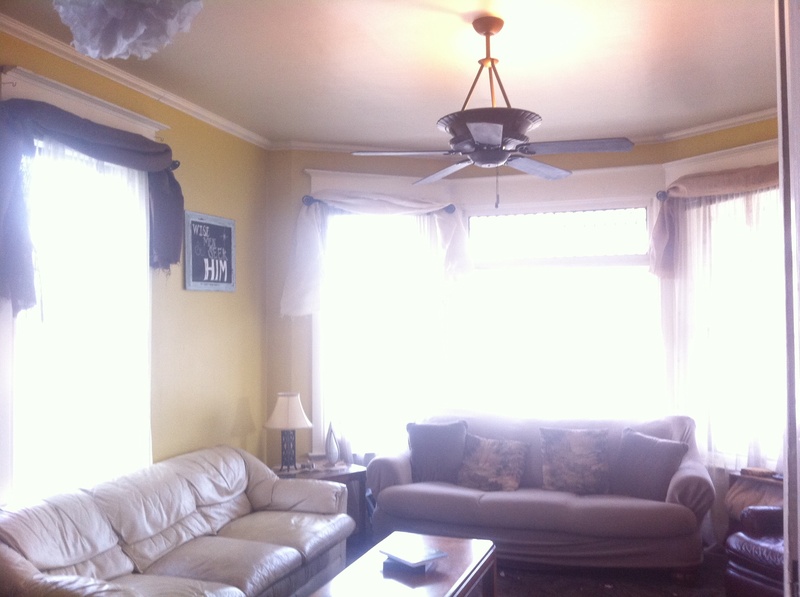 As we move into summer we will also be looking for heavy duty fans and one or two more window air conditioners! → My Soul Speaks At Midnight.